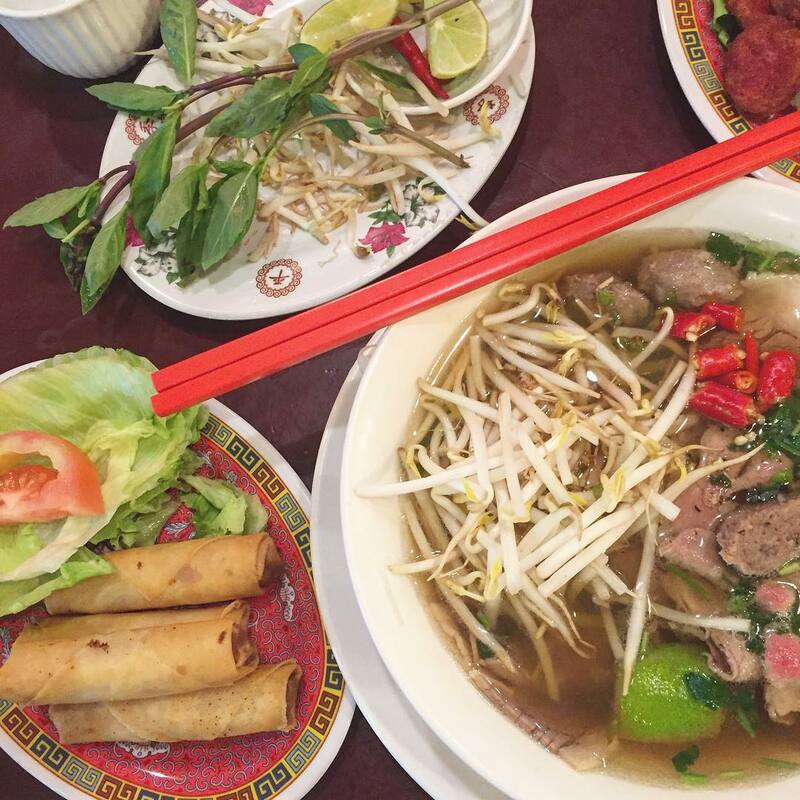 King Noodle House Pho Hoang specializes in Vietnamese beef noodle soup (pho). 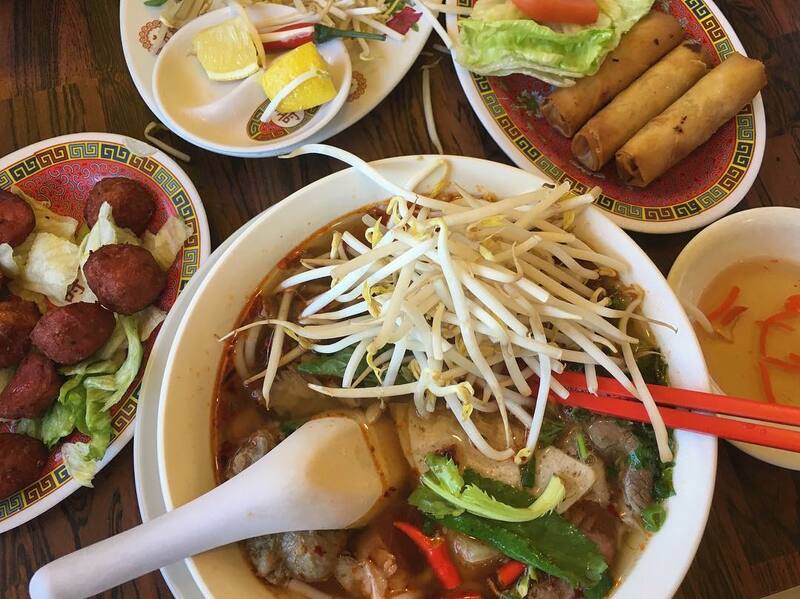 Our menu is primarily noodle soup, with varying topping combinations. Our most popular soups are: #1, #2, #11, #19, #24, #27, #33. All soup comes with side of bean sprouts, lime/lemon, chili peppers, and basil. Please note: we are cash only! There are ATMs at nearby stores, including the Hong Kong Bakery and Lucky 97. 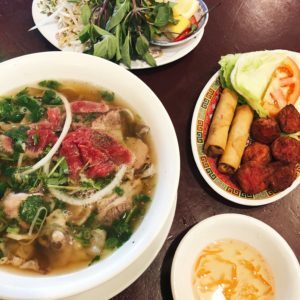 1 Large Bowl of Pho (your choice) + A Spring Rolls & Grilled Pork Balls Appetizer Platter - for $15. Be sure to ask for the Happy Hour Special! Unfortunately our broth is not vegetarian, however you can get your soup bowl without meat topping, and add vegetables instead. Our soup is gluten-free! Sauces on table are not.